Apple Now Has $121.3 Billion In Cash according to TechCrunch. Here are some creative things they could do with that horde (but likely won’t) that would still be fun to imagine. At $150M fly-away cost, Apple could buy 550 F-22 Raptor airplanes, fund their operations (calculated at a bit more than one third the cost of the aircraft) and have an air-superiority fighter force arguably more powerful than even the mighty USAF, which has a mere 187 Raptors (plus about 1800 vintage F-15s and F-16s, which according to experts would positively wilt in the face of the Raptor’s superior avionics, stealth, agility, radar, and weapons). Once they’d shot down everyone else’s fighters, drones, assault helicopters, and bombers could Apple enforce its own “no-fly-zone” and bring an end to war? Of course at some point these planes would need to land, refuel from tankers mid-air, and maybe bomb some stuff (not the Raptor’s forte) in order to achieve anything, but this is a blog post and that’s not my problem. BONUS: They could charge airlines a tax to fly the iSkies unimpeded (lock-in!) .. but then again, only an idiot tries to sell a business case for starting a war. Roughly 239 Million of Africa’s 600M population is at or nearing starvation. This equates to a little less than 1/4 of the world’s starving population of 1.02 Billion people, which the UN estimates would cost $195 Billion to feed for a year. The World Food Program says that people need 2,720 kilocalories per day, and based on the UN estimates this means that the cost of providing sustenance for these people is about $192 per year per person. A year of feeding Africa’s starving therefore costs roughly $46 Billion. Apple could therefore make Bob Geldof extremely happy and nix that whole Africa problem for good by giving them the runway to develop their own crops and societies, making future generations wonder what’s so ironic about the band name “Jello Biafra”. In return, Sir Bob would need to once again write songs about days of the week which do not leave him particularly enthused. Real cost estimates for such an endeavour are tough to pin down. NASA and privateers are currently grappling over various approaches to putting boots on the red planet, with a stripped-down economical version ringing it at between $30B-$50B. Nasa’s Lunar program cost upwards of $24B in 1969 dollars, but had a lot more fundamental risk and research baked in. A Dutch Company (who assures us they have no acquaintance with GoldFinger) wants to spend $6B to put four people on Mars and recoup the costs by selling advertising on a Big Brother-style Reality TV show. I give up. So, let’s assume for the napkin math that the cost to launch a proper manned mission/colony to Mars, and bring a few earthlings back home, is akin to the $100 Billion cost of the International Space Station, plus a wee bit extra for beverages and chips. Well within Apple’s wheelhouse, I’d say… and most assuredly their space station would look a lot cooler. Long has society yearned for the answer to this question posed by academics and artists alike: will a group of monkeys, given infinite time, pressing random keys on a typewriter, eventually crank out the complete works of William Shakespeare? Apple can accelerate infinity, of course, by simply doing what they always do: hiring more monkeys. According to this site a perfectly serviceable monkey can be got for about $2800, not including shipping. You can buy a mint condition IBM Selectric (by far the coolest typewriter evar!) for less than $100 today on eBay. Factor in another $100 for those metal desks we sat in at high school and you’ve got startup costs of $3000 per seat. This leaves you free to conscript 40,433,333 monkeys and set them up with a typewriter, on a desk, somewhere in Cupertino. From there it is quite obviously a mere matter of time before one of them outputs Macbeth or Much Ado About Nothing. SWOT analysis: I have allocated no budget for bananas. This idea should test the limits of how badly Apple really wants to kill the Android market. Why not buy every man, woman, and child his or her own iPhone5, in choice of colours? Using a current US population estimate of 311,591,917 Apple could, rather easily, send an iPhone5 at nearly its full unit cost to every American. At that population, the cash pile nets out to about $389.21.How better to thank American workers for forfeiting their jobs to cheap overseas labour? Patriotism? Yeahsure. Shrewd marketing ploy? Brilliance. As an app developer I’m all for anything that’ll address fractionalization in mobile. 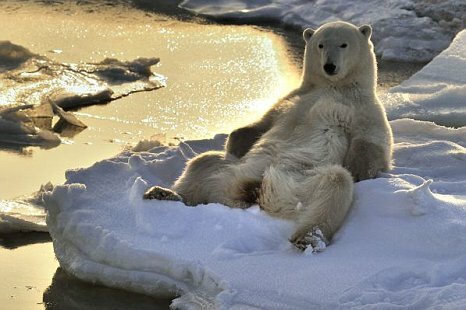 Depending on whom you ask, the declining world Polar Bear population is between 10,000 and 25,000. That’s a wide spread, so because I’m a conservative planner I will assume the worst and guess that there are 25,000 living polar bears at the moment. Since we are pretty much, you know, destroying their habitat with our unhealthy lust for consumer products, and their population is projected to decline by 66% by 2050, perhaps Apple can be guilted into securing more stable habitat for our furry white friends from the frozen north? For the discerning bear, there is this lovely Coal Harbour (Vancouver) condo up for grabs, described as an entertainer’s dream (polar bears are not super-social, but who knows?) and a steal at $4.5 Million, which is well under the $4.85M per bear that Apple can afford to budget. There’s lots of roaming room, essential if one is an 800-lb. bear: 3882 sq ft indoors plus a 1500+ sq ft “exquisite private treed garden-patio”. Neighbours might complain about the smell, but get you and your Polar Bear friends voted onto the strata and they don’t have a hope. Since they make a large portion of cash off creative types. If they haven’t already done this it would be cool if there was scholarships grants or competitions towards art/graphic arts/music/ film & animation. If they put 1% into a program like that they’d look like champs, people would think they gave a damn instead of coming up with something that could fit between the iphone and ipad. Very true.. Sadly any company that is willing to make that much is also not willing to part with any of it.